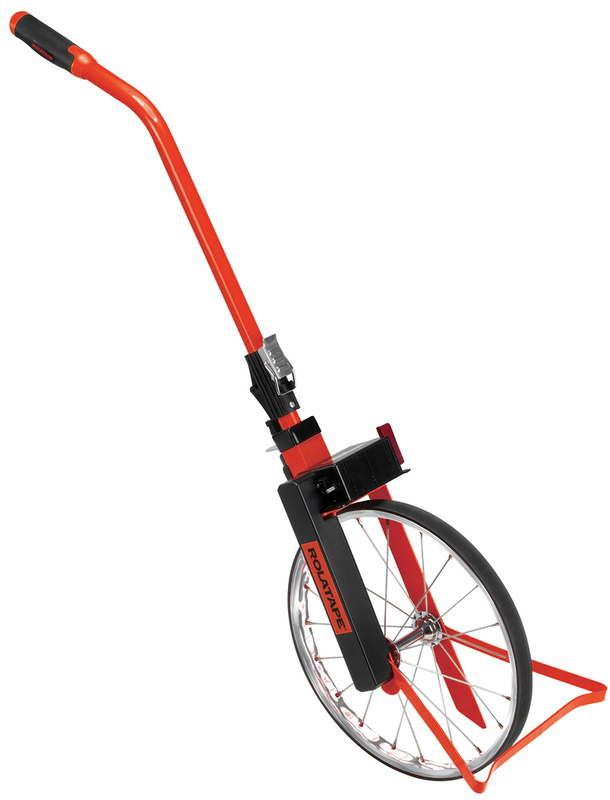 When a tough, all-purpose measuring wheel is needed, nothing fills the order like the Rolatape 401M. Its 1cm direct reading counter and 1 meter wheel circumference handles the toughest measuring needs for heavy construction, large commerical operations, utility companies, land surveying and other critical measuring applications. When measuring demands are tough, the 400 Series gets the job done. 5-digit counter Records up to 10,000 meters and belt driven counter measures to 1 cm.